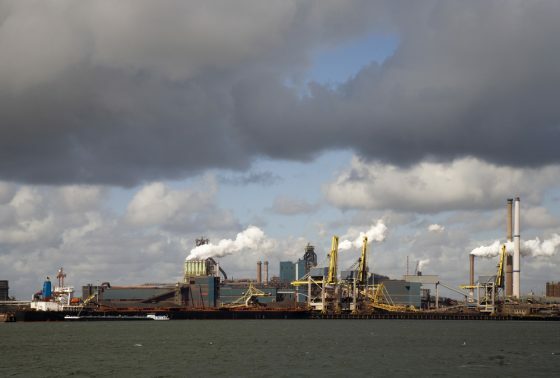 The inhabitants of the seaside village of Wijk aan Zee have taken out a full page advert in the Volkskrant calling on prime minister Mark Rutte to take action to stop the pollution from companies Tata Steel and Harsco in nearby IJmuiden, broadcaster NOS reports. ‘We are finding black graphite dust on our sleeping childrens’ duvets (..). A rainbow of chemical substances can be found on our sinks, window sills, dining tables and cars. Sometimes it’s white silicone fixative, often graphite and sometimes a brown substance or a grey sticky one,’ the ad goes on to say. The graphite comes from Harsco Metals, which processes slag, a residual by-product of steel on the Tata site. In October last year Tata and Harsco announced they would be working together to solve the problem but said ‘it would take time because of design and permit procedures’. Among the health problems cited by the group are lung problems, headaches, dizziness and nausea and lack of concentration. Tata Steel was given a subsidy of €35m by the Dutch government to build a new type of smelter with lower CO2 emissions but, IJmondig points out, it will take a long time to develop and will also be built first at a Tata site in India. According to the group, the volume of emissions in the area far exceed the legally permitted amount. ‘A proper Dutch politician would bang his fist on the table and cry STOP!,’ the ad reads. IJmondig has invited Rutte to come to the seaside town for coffee ‘or a glass of jenever once he has seen the photographs of the pollution’.